The last thing you want from your furling gear is for it to jam up in a rising breeze—or ever. I must be some kind of roller-reefing Jonah, because it’s happened a few times on boats I’ve been sailing aboard. On two of those occasions, halyard wrap was to blame. Halyard wrap sounds like something you’d tear off a new piece of rope, but it’s actually the most common cause of furling problems. It occurs when the angle between the genoa halyard and the headstay is too shallow. Instead of the two halves of the top furling gear swivel turning independently as the headfoil extrusion turns, the upper part of the swivel wants to turn together with the lower part, wrapping the halyard around the top of the headstay. This often occurs when the sail is being furled and there is tension on the halyard swivel. If the increasing reluctance of the swivel to turn is greeted with extra exertion on the part of the person trying to furl the sail, then the wrap gets ever tighter until the swivel jams and the gear refuses to turn at all. If you’re lucky you’ll be able to unwrap the halyard by reversing the direction of pull. It is not unknown, however, for a stainless wire halyard to cut so deeply into the alloy extrusion that it becomes caught in it. If this happens, there’s usually no alternative to a trip up the mast. Nor is it unheard of for the headstay to begin to unlay as the halyard is forced in between the strands of wire or after it has been twisted back and forth a few times. Riggers will scare you witless with tales of masts falling down after repeated halyard wraps have weakened the headstay. There are two ways of curing halyard wrap. One is to fit a bullseye fairlead two to three inches below the sheave box, and lead the halyard through that before making it fast to the swivel. This will open up the angle the halyard makes with the headstay to 10 degrees or more and prevent it from wrapping around it. When you fit a bullseye fairlead you’ll need to unreeve the halyard and then rethread it through the bullseye, over the sheave and down through the mast, using a messenger line. This is a time-consuming affair, and it is possible to buy open-backed halyard restrainers that can be riveted on over the halyard. This solution is usually the only one possible if the headsail is significantly short in the luff, or if the furling extrusion finishes short of the top of the headstay. 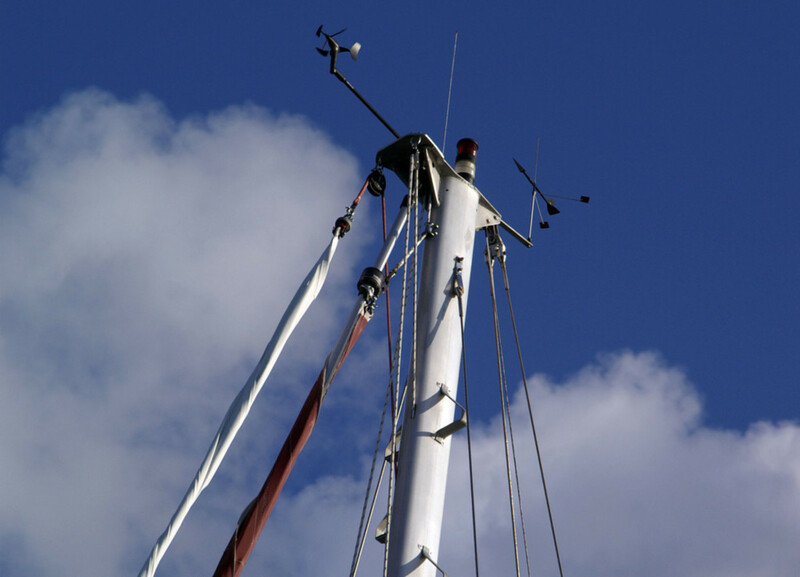 Another approach is to get the top swivel so close to the halyard sheave that there is not enough exposed halyard to wrap around the headstay. If the sail is not long enough in the luff to permit this you can make up a pennant (wire or Spectra to avoid stretch) between the top swivel and the head of the sail. 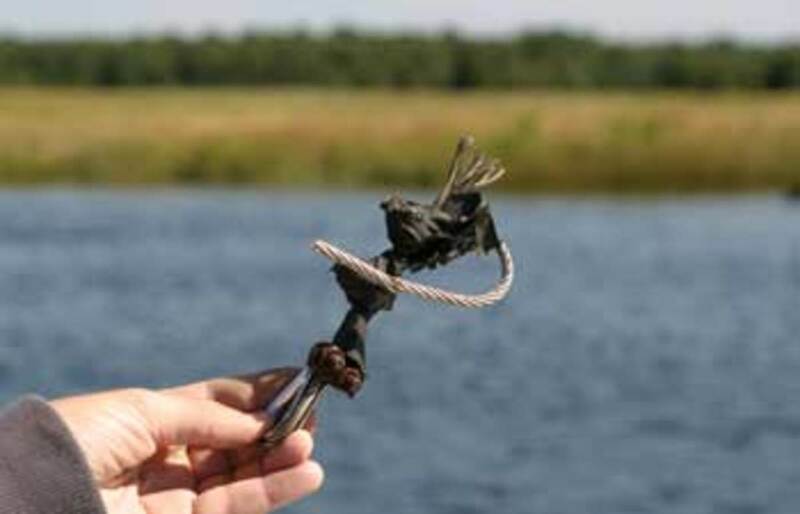 Don’t add the pennant between the tack of the sail and the furling drum, as this increases the chances of the luff rope coming away from the headfoil. The latter option is best for club racers or performance-oriented cruisers who use a range of headsails, as a halyard restrainer may restrict the use of full-hoist genoas. Or, if you have two headsail halyards, you could lead the secondary halyard through the restrainer for the cruising sail, and leave the primary halyard in reserve for the full-hoist sails.